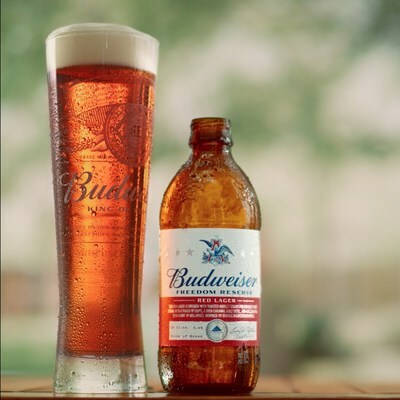 NEW YORK, May 1, 2018 /PRNewswire/ -- Today, Budweiser unveiled the newest addition to its Reserve Collection – Budweiser Freedom Reserve Red Lager. 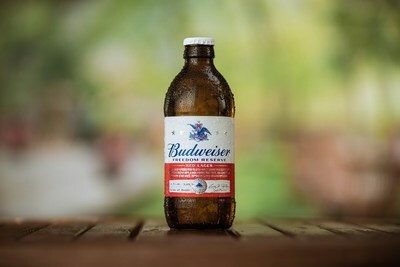 The new beer was specially brewed by Budweiser's own veterans and builds on Budweiser's long-standing support of American veterans with a portion of proceeds sold this summer benefiting Folds of Honor -- a nonprofit organization providing educational scholarships to military families. As of this year, the company has raised $14 Million in support of Folds of Honor. "To call Budweiser a partner would be an understatement – they are considered family to us and the 3,000 families their donations help to support," said Major Dan Rooney, founder and CEO of Folds of Honor. "Freedom Reserve is a great testament to their unwavering dedication and compassion for our armed forces and we salute them." Freedom Reserve Red Lager is the second specialty lager to appear in Budweiser's Reserve Collection and is inspired by George Washington's hand-penned recipe from his personal military journal dating back to 1757. Packaged both in a vintage stubby bottle and also available in a one-pint can, the Red Lager is brewed with toasted barley grains for a slightly sweet aroma with a touch of hops, a rich caramel malt taste and a smooth finish with a hint of molasses. 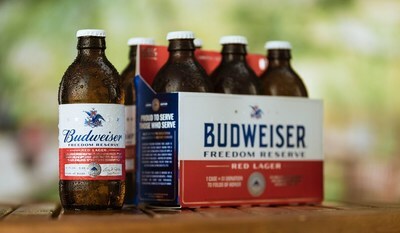 Marking the seventh consecutive year Budweiser is teaming up with Folds of Honor, the brand brought together a select group of Budweiser brewers who are also proud veterans to brew Freedom Reserve and their signatures are prominently featured on each bottle and can. We are incredibly proud of our Freedom Reserve Red Lager because it was passionately brewed by our veteran brewers who have bravely served our country," said Ricardo Marques, vice president, Budweiser. "With Freedom Reserve we remain dedicated to our mission to support our veterans and their families through our longstanding partnership with Folds of Honor." As the great American lager, Budweiser is committed to supporting U.S. veterans and their families, with the brand's total contributions helping to benefit more than 3,000 families across the country. To help spread the message of support this summer, Budweiser will deploy a fully integrated marketing campaign for Freedom Reserve, complete with in-store displays, online advertising and digital marketing programming along with new national TV creative airing during marquee sports moments, including the NBA Finals and NHL Stanley Cup Finals. Freedom Reserve will be available beginning in May through September 30, or while limited supplies last.